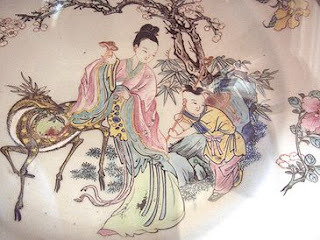 The legend for this etiquette is said to have originated during the Qing dynasty also known as the Manchu dynasty. 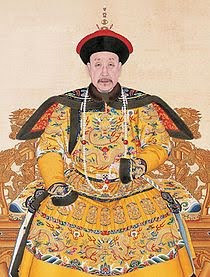 This was the last ruling dynasty that was from 1644 to 1912. 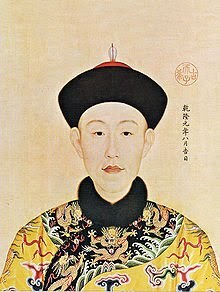 The emperor Qianlong, who reigned from 11 October 1736 to 7 February 1795, would travel in disguise throughout his empire on inspection visits. This entourage that travelled with him was not allowed to reveal his identity. One day, the emperor in disguise, stopped at a restaurant. He proceeded to pour himself and his servant tea. This is considered an act of honor to be served by the emperor and because the servant could not reveal the emperor's identity by kneeling to kowtow and express his thankfulness, the servant proceeded to bend his index, middle and fourth fingers and tapped them on the table to express his gratitude and respect for the emperor while preserving the emperor’s disguise. One finger represented his bowed head and the other two represented the prostrate arms. This is a custom most practiced in the south of China particularly among the Cantonese. However, in other parts of the Chinese culture, this method is only acceptable to be used if you are in the middle of a conversation. This custom of discreetly saying thank you without saying it is also an acknowledgement in the tea drinking culture of a ‘thank you’ gesture.